When you’re thinking about renting an apartment, naturally you consider rental price, number of bedrooms, square footage and amenities. But location also figures big in your decision. The neighborhood surrounding your apartment is the locale where you will buy groceries, gas up your car, visit restaurants, dry cleaners, and of course, enjoy the outdoors. You have requirements for that, too. For example, is there a park? A bike trail? Can you bike to work? These are real questions that many renters want answered before they choose their new home. Failoni Consultants rental properties are located in areas that can provide these options to you, the renter. We’ve been on the ground floor in developing and leasing quality residences in the St. Louis City’s most desirable neighborhoods. Neighborhoods that are close to the some of the biggest and best job providers: Barnes Jewish Hospital, SLU Hospital and University, Washington University Medical School, Cortex—to name a few. And it’s a fact. Big institutions nearby are often the impetus for urban revival. Good employers attract good employees, who, in turn, boost the growth and stability of a neighborhood. The 63110 zip code is a perfect example of such. It’s seen a major renaissance in housing expansion. The 63110 zip covers Forest Park Southeast, Shaw, Botanical Heights, the Grove, part of the Hill, and the southern part of the Central West End. 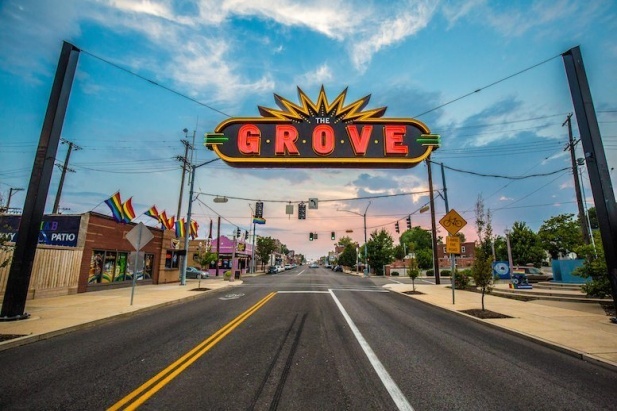 The culturally diverse nature and historic architecture of these neighborhoods offer modern generations exactly what they want: a back-to-the-city lifestyle with walkable urban pathways; not to mention proximity to St. Louis’s most popular cultural attractions-- Busch Stadium, the Botanical Gardens, Zoo, Fox Theater, Tower Grove Park, and a host of other Downtown/Midtown venues. With access to all of these places, it’s no wonder why Failoni Consultants properties attract and keep tenants. And a good reason to start your home search with us!